I wasnt planning on changing phones just yet. I was very happy with my Sony Ericsson P910i which I have been using for 2 years now and never had any problems with, but I did promise my brother he could have the phone after 2 years so here I am, pressured to replace my P910i. 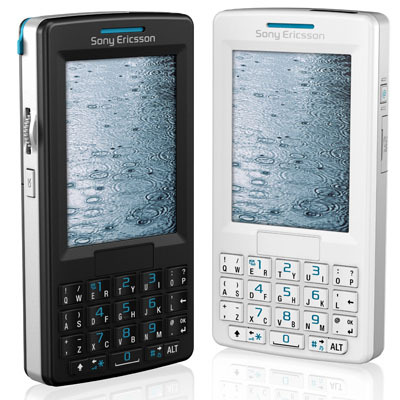 I only wanted a Sony Ericsson phone again and I guess the decision to get the M600i stems from Casino Royale as this was the same phone Vesper Lynd used. So I upgraded my account with Orange and the new phone was delivered to me within 2 days. Oh I got the black one, Darth Vader, that’s why. After using it for close to 2 weeks now, I dont really have a lot to complain about my M600i, but I would really miss the much more user-friendly P910i. Once I have installed the software at work I will tell you more about its organiser functionality. It’s dual keyboard feature makes it difficult to use it for sending SMS so I always end up using the stylus. It’s much more difficult to look for your contacts and call them directly because although there is a directory to look for names on your list, you have to scroll up and down for the letters unlike with the P910i. But one of my major concern re: the M600i is that it’s been hanging up on me twice now. I’m like in the middle of dialling a number and it suddenly decides to hang, and the solution to the problem is to open the battery case because it is not allowing you to turn if off. But then there is this other problem as the battery case is quite difficult to open. Twice I had to ask other people who now thinks that I am showing off the new phone, well, talk about hitting two birds! Saying that, I love that the M600i is not as heavy as the P910i, it’s very stylish and it certainly met my criteria of not having a camera with the phone, so I guess so far, so good! Time to replace this phone Monqs! Yeah, with the nww iPhone 3G eh Ep? Alsapart: location de gite en Alsace haut rhin a guebwiller.